We would make a significant wager that more people dislike shopping for car insurance than like it. The very premise of insurance is weighing “what if” scenarios versus probability statistics like some kind of mind-boggling word problem in an upper-level math class you never wanted to take in the first place. How do you make sure you’re protected but not overpay for what you don’t need? How do different state laws impact your coverage? What if your needs change? Whether you’re buying car insurance for the first time, are considering making changes to your policy after buying a new car, or just want to shop around to see what deals are available, we at Mount Airy Toyota have put together a few tips we hope will help you. Auto insurance is a contract between you and an insurance company to protect you against financial loss in the event of an accident or theft. You pay a premium, and in exchange the insurance company agrees to pay your losses as outlined in your policy. Policies are generally issued for six-month or one-year timeframes and are renewable. The premium is the amount you pay for an auto insurance policy. Insurance premiums for different types of insurance are determined using a diverse set of statistics and factors, such as age, health, credit rating, field of work, driving history, and geographic location. Your driving record will have the largest impact on your insurance premium. Premiums are paid in regular installments, such as monthly, quarterly, or semi-annually. Car insurance premiums may have discounts if paid in certain ways, such as in a lump sum or via automatic bank draft. Always ask insurance carriers whether they offer any such discounts. Who is covered under an auto insurance policy? An auto insurance policy follows a car — not a driver. For example, if someone borrows your car (whether for a few hours or a few years), that person is using your insurance policy. Laws do vary a bit from state to state. For example, a few states (Kansas, Michigan, New York, Virginia, and Wisconsin) do not allow you to exclude a driver from your policy. So in those states, if your spouse has a string of DUIs, he or she will be factored in to your premium costs. However, maybe you have a young driver in the household who only is allowed to drive one particular car — let’s pretend that car isn’t the new Toyota Supra you’ve got parked in the garage. That young driver could have his or her own policy and not be an insured driver on the adult/family policy thus potentially saving money. If you habitually lend your car to someone, whether that person is a relative or boyfriend, consider adding that person as a covered driver on your policy. And make a point to remember that if that person gets into an accident or has a DUI, it will be reflected in your insurance policy. Be sure to inquire about these kinds of situations with every insurance carrier providing you with a quote. What is the law in North Carolina? North Carolina Motor Vehicle Law requires that Automobile Liability coverage be continuously maintained. The minimum coverage requirements are $30,000 Bodily Injury for each person, $60,000 total Bodily Injury for all persons in an accident, and $25,000 for Property Damage. Motor Vehicle Law also requires Uninsured/ Underinsured Motorists coverage. Auto insurance policies with the minimum Bodily Injury and Property Damage limits are required to include Uninsured Motorists coverage. Policies with limits greater than the minimum must provide combined Uninsured/Underinsured Motorists coverage. Uninsured Motorists (UM) Coverage will provide protection when an uninsured driver, who is at-fault, injures you or another covered individual. It also provides property damage coverage. Underinsured Motorists (UIM) Coverage will provide protection when an underinsured driver, who is at fault, causes injury to a covered individual. An underinsured driver is one whose limits of liability are less than your UIM limits, and not enough to cover the losses of the people the underinsured driver injures in an at-fault accident. Guaranteed Auto Protection insurance is the difference between the actual cash value of a vehicle and the balance still owed on the financing. For example, let’s say you financed a car for $25,000. Over time you paid off $2,000 of the loan. Then you had an accident. It may be the case that while you still owe $23,000 on your car, its actual cash value is only $19,000 — a $4,000 gap. If you have gap insurance, it can help you cover the $4,000 gap between what you owe on your loan and what your car is worth, after your deductible. GAP insurance only covers damage to your vehicle, not other property or bodily injuries resulting from an accident. A GAP policy will not cover your deductible. It is only used in the event of a total loss from a covered accident, not for mechanical repairs. GAP coverage is mainly used on new and used small vehicles and heavy trucks that are being leased or on which payments are being made. Several insurers sell GAP insurance including Allstate, State Farm, Progressive, and AAA, although it may be called loan/lease gap coverage, or new car replacement coverage. What is the best way to shop for car insurance? 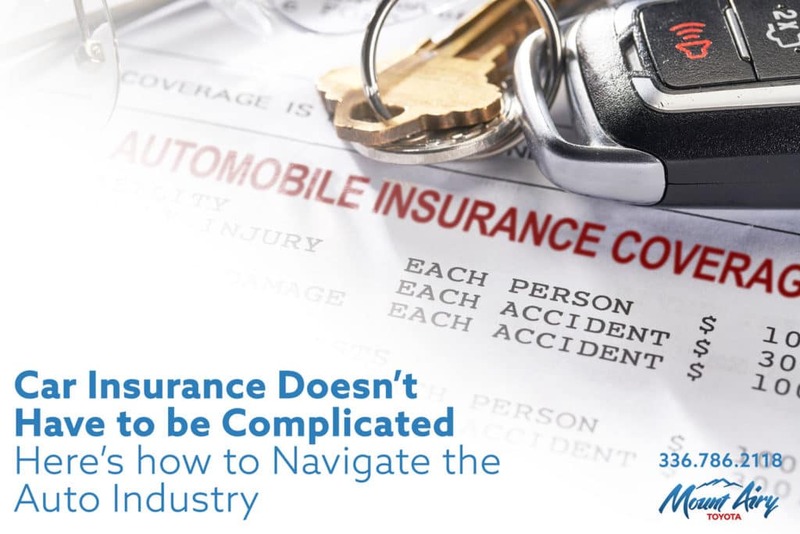 Most states have a buyer’s guide for auto insurance to get you started. Consider what your needs will most likely be — are you a commuter in work traffic or a Sunday driver? Are you towing farm equipment or carting the family to soccer practice? You may also wish to look for a local agent to be your primary point of contact. Independent agents can offer policies from several insurance companies while providing you with personal service. This way no matter if you stick with one insurance carrier for years or make a change whenever your personal situation changes, you have greater continuity in terms of an agent who knows you and your needs. What’s the best way to compare car insurance policies? Comparing the fine print details of policies can get overwhelming fast. Remember that coverage is often sold with a per-person and total-per-loss-maximum amount. For example, 100/300/50 coverage means you have coverage of $100,000 bodily injury liability insurance per person, $300,000 total bodily injury liability insurance per accident, and $50,000 property damage liability per accident. In North Carolina the minimum is 30/60/25. Decide what kind of deductible you want, i.e. $500 or $1,000. Decide whether you want things like towing and labor coverage, or if you don’t need it because you already belong to an organization like AAA. Be clear about what you need covered, whether it’s one car or two cars, or one car and a motorcycle and a golf cart and an RV (bundles bring discounts). Once you can get quotes to be as “apples to apples” as possible, then you can determine which quotes are worth pursuing further. Don’t be afraid to ask questions and have your agent run numbers on a few different configurations, like changing the deductible, paying in a lump sum vs. monthly, or scraping optional add-ons like rental reimbursement coverage. It’s an agent’s job to work with you to find the best options! How do I keep my insurance premiums from going up? Drive safe. In North Carolina speeding 10 mph or less over a speed limit under 55 mph can result in a 30-percent rate increase. Speeding 10 mph or less over the speed limit at 55 mph or higher will increase rates by 45-percent. Passing a stopped school bus can result in an 80-percent increase. Aggressive driving may raise your rates by 195 percent, while a DUI or racing brings a whopping 340-percent rate increase. Of course there are also the 25 cheapest vehicle models to insure. We weren’t surprised to see Toyota on this list. 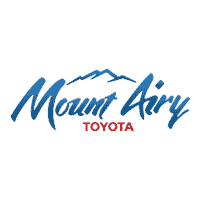 No matter what kind of car you are considering buying, new or used, Mount Airy Toyota can help find what’s right for you. We know you have several decisions to make, but rest assured that shopping with us is always a good one! Come visit us at 508 N. Andy Griffith Parkway in Mount Airy, N.C. We’re open from 9 a.m. to 8 p.m. Monday through Saturday. Plus you can always find us online at mountairytoyota.com or give us a call to schedule a test drive at 336.786.2118.